Along with netting, Pinguard systems are commonly used in many scenarios. Used most effectively as ledge protection it is a far more effective deterrent in higher populated areas. We supply and install Pinguard in many forms depending on the pest species on site and the conditions. Pinguard can deter birds from ledges between 30mm – 300mm wide. We also supply Pinguard of different materials depending on the location and environment of the site. Stainless steel, marine grade stainless steel and UV stabilised UPVC are all options available to our customers. 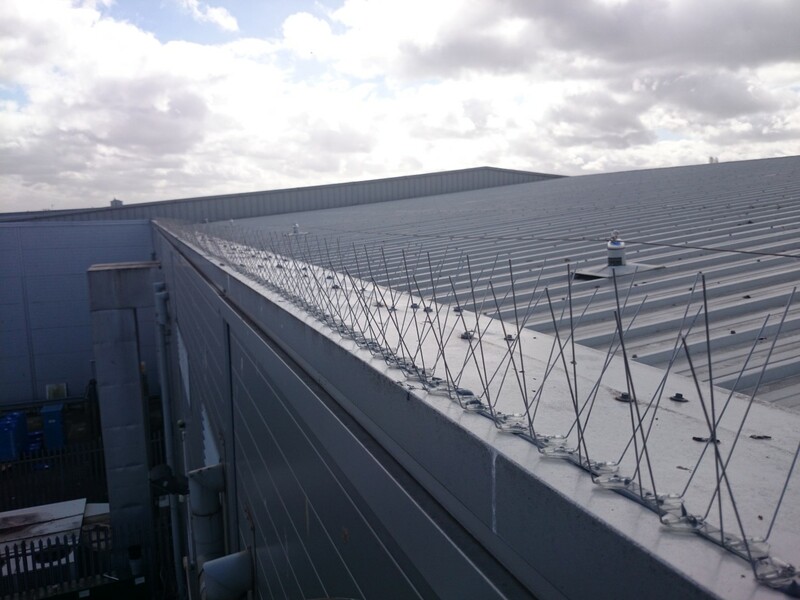 In addition to the normal application of spikes we can supply and install specialist versions. These include ‘Ridge Spikes’, some ridges are hard to install with traditional adhesives due to their design. We can install these specialist version with and angled base for a more secure fix. Other versions include window brackets, this allows a window ledge to be protected while allowing a window to open and close easily. Specialist bracts are also used to fix to thin ledges such as gutters.